(VEN) - Thanks to an increasingly improved business environment, macroeconomic stability, and domestic market development policies, Vietnam continues to be an attractive destination for foreign investors. In the first two months of 2019, foreign direct investment (FDI) grew 50 percent. Foreign investors have poured US$8.47 billion into Vietnam this year as of February 20, 50 percent more than in the corresponding period last year, data from the Foreign Investment Agency under the Ministry of Planning and Investment revealed. This included newly registered capital, additional capital, and shares purchased by foreign investors. The country granted 514 new investment licenses to projects with total registered capital of US$2.44 billion, up 75.7 percent over the same period in 2018. As many as 176 projects registered to adjust their capital with total additional capital of US$854.8 million, up 22.1 percent year on year. Meanwhile, the value of capital contributions and share purchases by foreign investors reached US$5.17 billion, four times more than the same period in 2018 and accounting for 61 percent of total registered capital. Foreign investors pumped cash into 18 sectors, of which the manufacturing and processing sector ranked first with total capital of US$6.93 billion, accounting for 81.8 percent of the total. The real estate and science and technology sectors ranked second and third with respective values of US$478 million and US$306.7 million. Hanoi topped the list among 44 provinces and cities receiving FDI with total registered capital of more than US$4 billion, followed by Ho Chi Minh City with more than US$1 billion, and Bac Ninh Province with US$541.7 million. 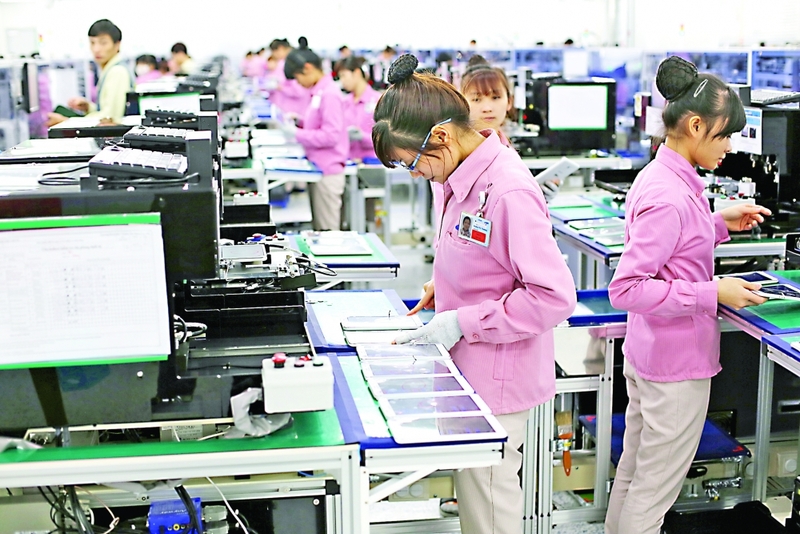 With US$4.3 billion invested in Vietnam, accounting for 51 percent of total FDI capital, Hong Kong (China) topped the list of foreign investors in Vietnam in the first two months of 2019. Singapore came in second with US$979.1 million, followed by the Republic of Korea with US$873 million. Some major foreign investments were recorded in projects in the first two months of 2019. Hong Kong (China)’s BeerCo Limited spent US$3.85 billion on acquiring a stake in the Vietnam Beverage Co., Ltd; and Hong Kong (China)’s Goertek received an investment certificate for a US$260-million project to develop a factory manufacturing electronics, network equipment and multimedia sound systems in the northern province of Bac Ninh. FDI projects were estimated to have disbursed US$2.58 billion in the first two months of this year, up 9.8 percent. This is the highest level of two-month growth in the last three years.